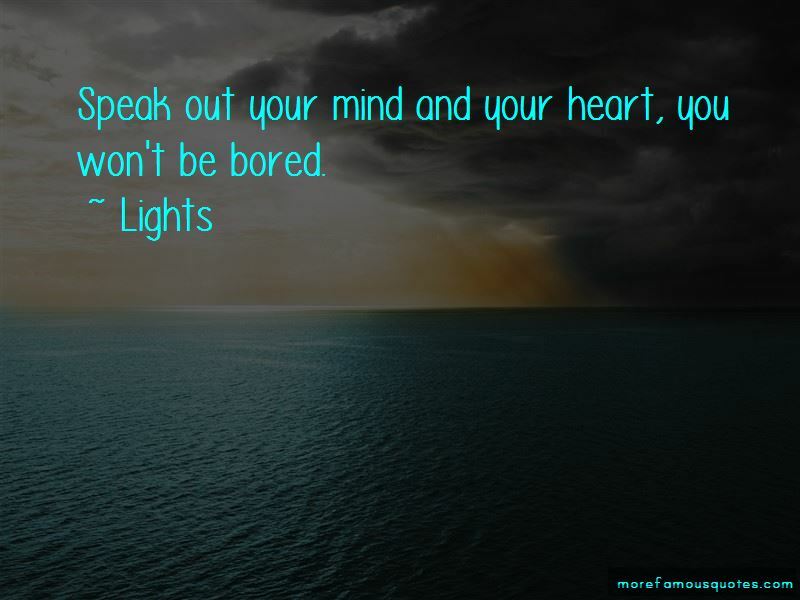 Enjoy the top 53 famous quotes, sayings and quotations by Lights. Try your hand at everything. Figure out what your space in the world is and take it. Then you can let other people in who will celebrate that about you, not try to turn you into something else. To err is human, to forgive is interplanetary. Love each other, even strangers. Nothing in the world matters more. Sometimes hate hurts more than love feels good. Just have to realize it's because we're more used to love. Let the haters stumble by. It's funny how life can change so much but still nothing changes at all. Or maybe it's that life changes, but you as a person don't or maybe we adjust, but don't actually change. You grow into everything you hate about yourself, over time. I've never been somebody who blew up overnight, I've never been somebody who everyone talked about all at once, but I've had this really cool slow build. I'm more of a fan of combat games than first-person shooters. I'd love to develop a game and make the music for it. I'd love to do something based on Captain Lights. Who knows if that'll ever happen, but I'd love to do it. I collect Wonder Woman - from comics to paraphernalia, and I even have a tattoo of her on my back. I'm a huge Wonder Woman fan! That's the beauty of music, art, and video games: forget about your worries for a few minutes; it shouldn't add to them or make you feel worried or sad: it should make you feel good. If you're doing what you love, then that's what matters. I am happy, and I am happy where I am. If things go downhill, then I move on to the next, and that's what makes me happy. 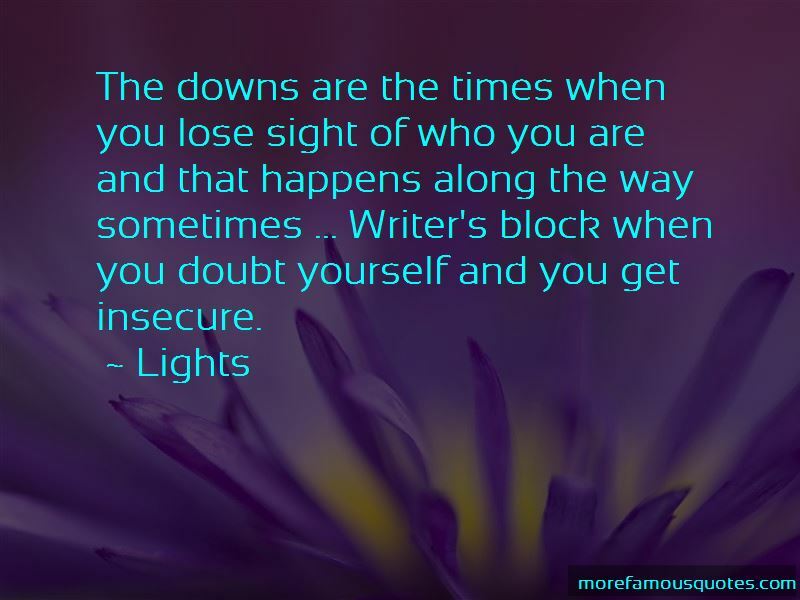 A career is a progression of ups and downs, how you deal with them and how you bounce back. My hair's actually really thin, but I just throw some hairspray into it and make sure it's been a couple days dirty, and then it goes the direction that you want it, literally! 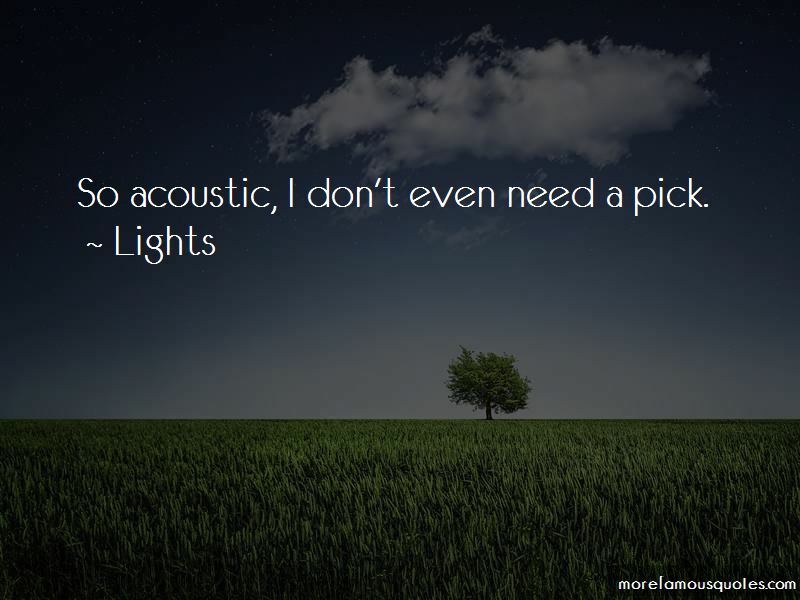 Want to see more pictures of Lights quotes? 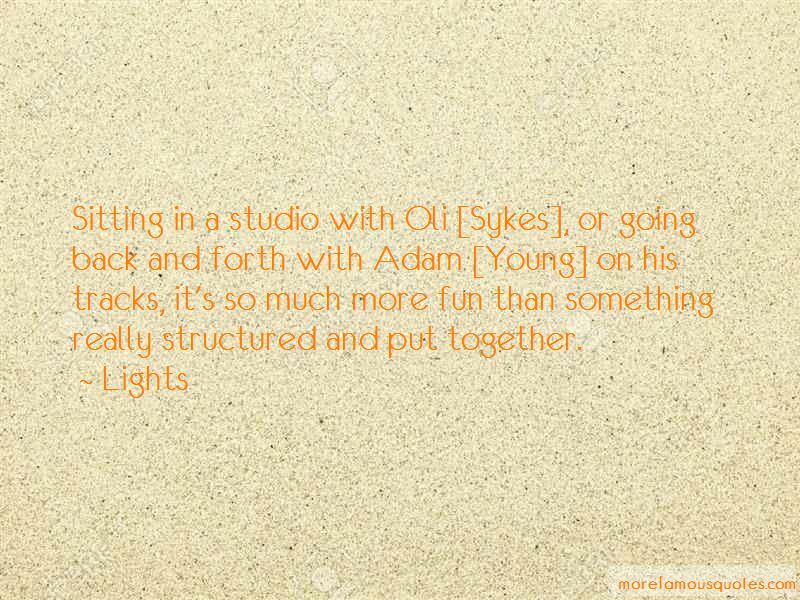 Click on image of Lights quotes to view full size.